Watching the recently televised debate between Hess and Save The Bay, I was reminded of last month’s public forum hosted by the Alliance For A Livable Newport at CCRI. During both talks, I asked myself the same nagging question: Why, when there are so many reasons that the company shouldn’t ship liquefied natural gas (LNG) through the Mt. Hope Bay, are the most compelling ones being left unsaid? Perhaps it’s because, in attempt to garner the widest possible support from residents, Save The Bay is only considering the local impact of the proposed terminal. Such a strategy would allow them to list the dangers to the environment, economy, and way of life of Rhode Islanders, while avoiding the messy national and global politics tied to the issue… But would this be the wisest move? Framing the problem exclusively in local terms will give opponents the chance to dismiss us as “Not In My Backyard” (NIMBY) obstructionists who oppose the project simply because Hess wants their terminal here. 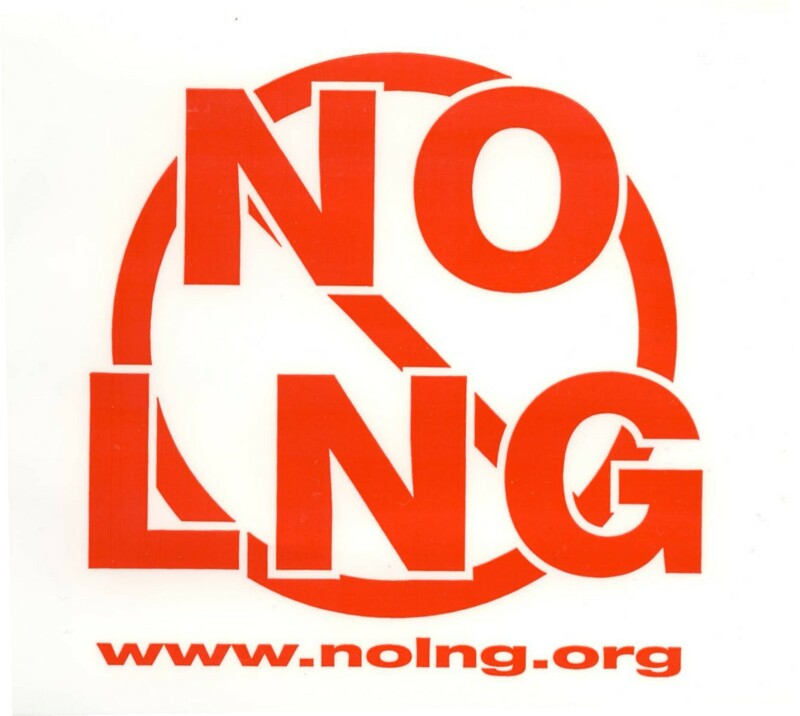 I’m afraid that, no matter how many excellent points are made (and, thus far, Save The Bay has made a ton of them), the anti-LNG movement won’t be able to shed the NIMBY label if its perspective isn’t broadened. 1) Dirty extractions – A controversial new type of gas drilling known as fracking threatens to contaminate the drinking water of those living in or near the Marcellus Shale region stretching from Kentucky to New York. An empty promise of slightly cheaper energy prices in the short-term or potable water, which would you prefer? Hmm, tough call. 2) Dirty uses – Hess likes to trumpet the claim that natural gas is the most environmentally friendly fossil fuel, ignoring the fact that an LNG terminal still emits several million tons of Co2 per year. With environmental friends like that, who needs enemies? Let alone clean, safe and renewable alternatives like solar and wind that are also cheaper in the long run! 3) Dirty deals – To protect their investments, which they often need to do since items 1 and 2 usually make their products so undesirable, multinational (i.e. mostly un-American) companies like Hess rely on governments for help. Here in the US, Hess is free to search for a new LNG site due to a loosening of federal regulations, which gives them nearly complete immunity from disasters caused by the project. Not to mention the military protection they’ll receive during transport of the potentially-terrorist-targeted cargo from Yemen (where al-Quaeda members are currently located). In other words, they make the profit while taxpayers and soldiers take on the risk. Sounds like a win-win, right? Nothing about the above list is good (and this was just from the US perspective — if you think our country has it bad when it comes to dealing with the fossil fuel industry, you don’t know the half of it), which is why all the dirty laundry must be aired in public forums. If there is indeed a fear that these sorts of things should be omitted from any anti-LNG discussion for the sake of political correctness, it’s unwarranted. I may be naive, but I believe the concepts of peace and environmental and economic justice are non-partisan if not apolitical. They’re not about what’s right or left, but what’s right or wrong. In my opinion, it’s much more naive to think we can solve big problems without looking at the big picture. Even if the NIMBY arguments prove successful and Hess is turned back this time around, it might not scare away another giant corporation from trying to force another terrible product upon us that we don’t need. However, despite what appears to be a grim outlook for the Ocean State (or maybe because of it), we now have an opportunity to come together and send a powerful message that can stop the oligarchs in their tracks… As long as we’re willing to speak up. This year Easter fell on April 4th, the same day that Dr. Martin Luther King Jr. was assassinated in 1968, which got me thinking… Considering all the lip service given the man 42 years after his death and the relatively little community service in support of his work, I wonder if we’re starting to confuse him with the Easter Bunny: a soft, cuddly, larger-than-life figure who exists only in our most idealistic dreams. Well, of course, King did exist. But he was also vilified by many for his persistent non-violent struggle for justice. Exactly a year to the day before his murder, he spoke out against the Vietnam War in his famous “Beyond Vietnam” speech. In it, King called the US government “the greatest purveyor of violence in the world”, which, as one might imagine, didn’t sit too well with the status quo. Life magazine described the speech as “demagogic slander that sounded like a script for Radio Hanoi” and the Washington Post said King “diminished his usefulness to his cause, his country, his people.” Undeterred, he continued to speak truth to power until his life was cut short that fateful morning in Memphis. But don’t kid yourself — if King were still alive today, he would be just as despised for his views. Yet another cost of being one of the greatest Americans of all time. King’s legacy should rightfully be honored, but when we forget his role as a political agitator we demean both him and his dogged pursuit of peace. This Easter season, forget the bunny. Instead, resurrect the true spirit of Dr. Martin Luther King Jr. and summon the courage to stand up against injustice throughout the world. Here’s your chance. You are currently browsing the Bristol Bull Raker blog archives for April, 2010.